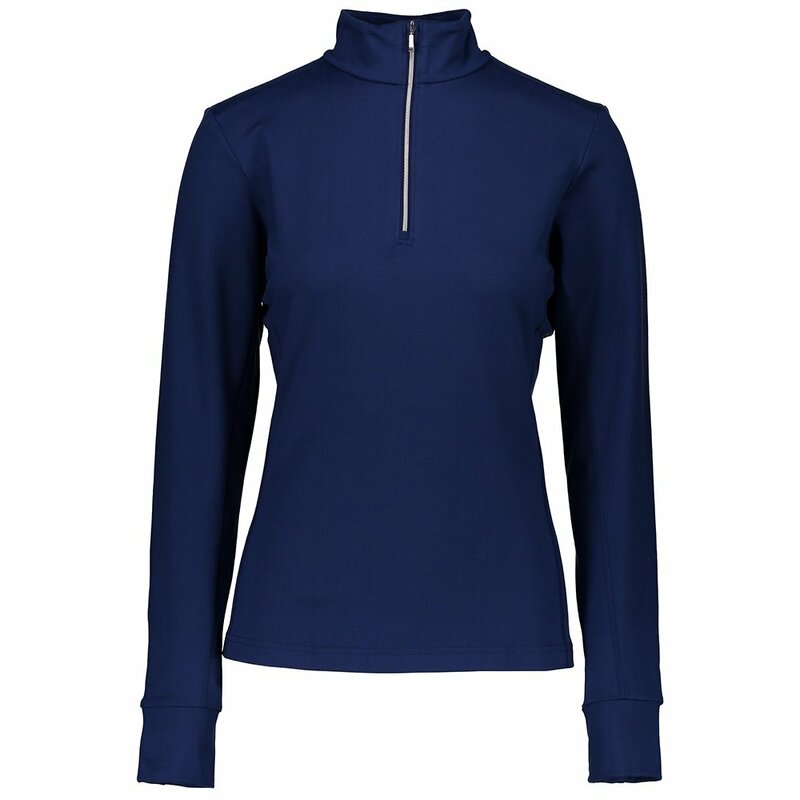 A cozy layer that wicks moisture quickly and leaves you drier, the Obermeyer Nari 1/4 Zip Turtleneck Mid-Layer works as a no-quit layer. Polyester is blended with elastane to provide better stretch. Flat-lock seams eliminate irritation, and a sueded finish enhances softness for truly luxurious feel. The front zipper closes with secure, stylish YKK® Metallion® hardware. "What color trim (shoulders and cuffs) is on this Top in the Sangria color. Is it black or navy? Thanks. " "The trim is BLACK on the Obermeyer Nari 1/4-Zip Turtleneck Mid-Layer in Sangria. Hope this information helps!" "I am a 14-16 size, which size is best for me, the Large12-14 or the XL 16-18?" "Thank you for your inquiry. We would recommend always sizing up for comfort. We recommend taking a look at the Obermeyer size chart for accurate measurements. We hope this information helps!"